We pass hundreds—even thousands—of people on the street every day, usually without a second look. Yet, that’s not quite the case for Ann Marie Rubertone, who possesses the gift of “seeing” energy. "I can see and feel the frequences that others radiate, so I understand 'energetically' what they are thinking," she explains. This powerful form of seeing and empathizing perhaps evolved from Ann Marie's difficult and diverse background, which includes overcoming domestic violence, abuse, infertility, multiple sclerosis, and drug addiction. 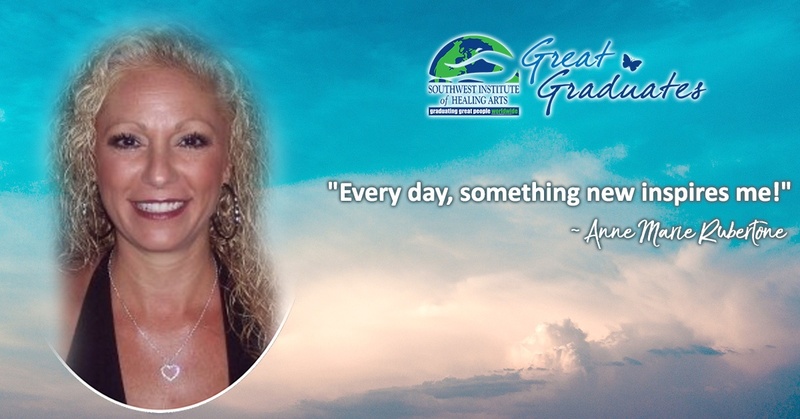 Although Ann Marie once felt that she was never good enough and that she would never fit in, her journey of recovery has been inspiring. For Bridgett Zehnder, finding her niche as a life coach came as an extension of the challenges she faced and overcame in her own life. “Like most of us that work in the Healing Arts field, we have developed our message from our mess,” she confides. Bridgett’s “mess” wound up looking like co-dependency, alcoholism, dysfunctional relationships, divorce, and loss— roadblocks which stemmed from childhood trauma and which were keeping her from leading a healthy life. “Because of the strain this put on me emotionally, I developed debilitating pain through fibromyalgia and chronic fatigue,” she explains. “I did not find any relief from the traditional medical field, yet I fought hard to find a path of healing.” After joining a 12-step program, implementing significant dietary changes, picking up a meditation practice, and engaging with other holistic therapies, like hypnotherapy, Bridgett finally found her hope returning. It was ultimately these triumphs over suffering that would shape her as a life coach and offer a blueprint for her clients facing obstacles in their own careers and lives. 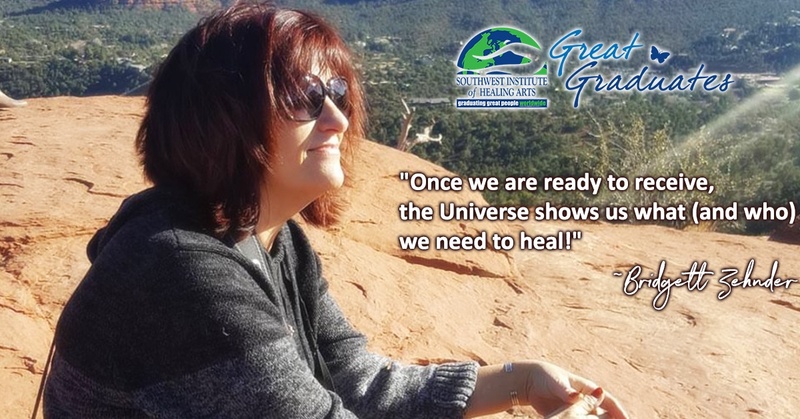 After moving to Phoenix as a Supervisor/Analyst in the Federal Government, Tammy Coin received a massage from a graduate of the Southwest Institute of Healing Arts, who told her about the school. Soon after, Tammy decided to enroll and subsequently graduated from the Mind-Body Wellness Practitioner program. During this time, she learned how to finally integrate all the pieces of herself, unearthing her identity and the WHAT to go with her WHY. “I have known my WHY for being on this earth for a very long time. I just didn't know the WHAT that was going to bring it together. I entered the program with a Masters in Human Relations Counseling. 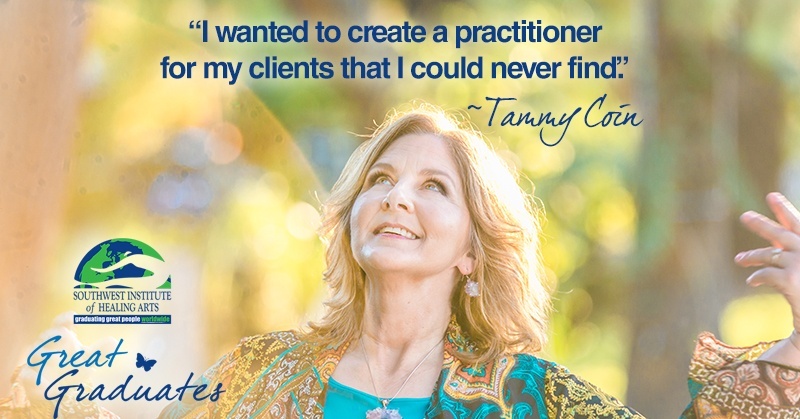 The Mind-Body Wellness Practitioner program helped me pull the rest of my pieces together.” The tools she has learned on this journey have been the gift that helped her to finally connect the teachings of her life. This gift, ultimately led her to start her own business. The Doors of Wellness, LLC is Tammy's business. She is using the experience, expertise and education of her life to help other people find their own door of wellness. “I believe that stuck emotions are at the root cause of physical illness, mental illness, addictions, weight issues, relationship challenges, loss of sense of self-worth and spiritual disconnect. I'm truly passionate about the Mind-Body Connection.” She describes herself as a Life Strategist, Mind-Body Wellness Practitioner & Trauma and/or Abuse Recovery Coach focusing on the unhealed emotions at the root of her clients obstacles. She offers many tools and modalities to her clients.